All pledges will be collected automatically until 16/06/2016. Update #3: If you donate 150€ or more, you will receive a free print from sohodoll.co.uk Check the updates tab for more information! Update #2: Click on the updates tab to watch a video tour and explanation of the new facilities for the Feed The Revolution project. Update #1: We have now extended the campaign an extra two weeks until 16th June. Due to recent high profile media attention and fundraising events being planned around the world in the coming weeks, we believe we now have an even better chance of reaching our goal. Rojava’s territory in Northern Syria extends from Turkey in the north and Iraq’s Kurdistan Region in the east, in the south and west it is limited by the frontline with ISIS. For years now Rojava has been cut off from much needed imports through an embargo enforced by these powers. 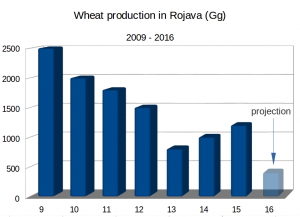 Rojava’s economy is based on agriculture, under the Assad regime it was known as “Syria’s bread basket”. The Syrian state established huge wheat monocultures that make up more than 90% of Rojava’s agricultural produce today. Since the revolution started, farmers have begun to diversify the agriculture, but the people still rely on wheat not to go hungry. To grow the wheat fertilizer is needed. Because of the war and the embargo, the farmers get less and less fertilizer every year. This year, only 10% of the needed fertilizer could be imported, which means that farmers will be able to harvest only an estimated third of the expected amount of wheat. With experts predicting a historic drought in the Middle East this year, the harvest will probably be even less. Amidst renewed attacks from ISIS and other jihadist group,s Rojava’s people are facing a great famine. Rojava needs to make its own fertilizer. The only resource needed is biological waste from the towns, villages, and farms. 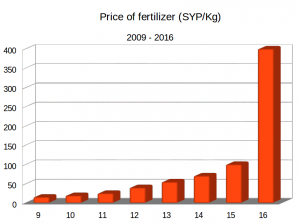 Chemical fertilizer has reduced the soil’s fertility over the years, and now it is not available anymore. 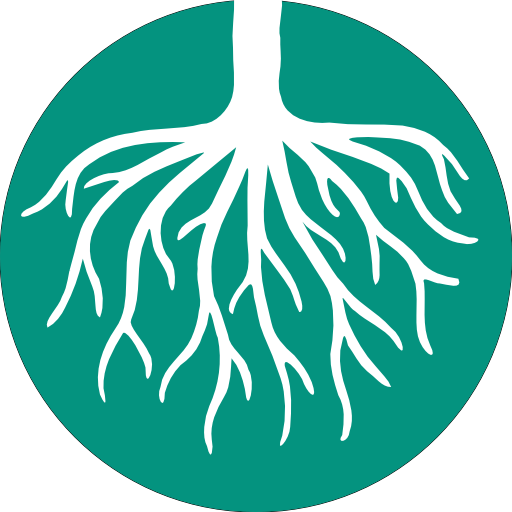 Organic fertilizer is sustainable and easy to make. The biological waste of an average Rojavan town is enough to make fertilizer for 60 percent of the land tended to by the town’s inhabitants. Together with animal droppings from the farms, Rojava can make enough organic fertilizer for all of its arable land. Conduct training in the neighborhood centers and schools and produce educational material (pamphlets, short films) about the need to separate waste. 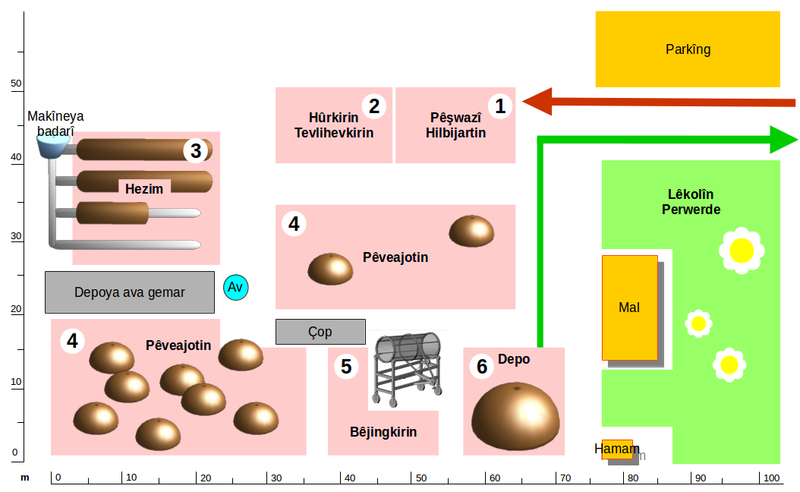 Establish facilities for processing the waste and making fertilizer. In the facilities, the waste is sorted, chopped, and mixed with a given amount of straw to achieve the right Carbon-Nitrogen ratio. After a half-mechanized digestion process of 3 ½ months, the fertilizer is ready and will be given to the farmers. Rojava is a unique place. It is a successful model for a peaceful and democratic Middle East. This project is vital to make Rojava’s people self-sufficient, it is vital to make the social and ecological revolution happen. For years Rojava has stood with the world against terror and fascism. Now it is your turn to stand with Rojava. In a couple of months we will publish a detailed report with all our expenses. We are part of the Economic Committee of Rojava’s self administration. This is part of the Rojava Plan. On our website you can read about our future projects. Rojava is a territory in northern Syria inhabited by roughly 4 million Kurds, Arabs, Assyrians, Ezidis and many other ethnic minorities. After the outbreak of the Syrian civil war the people of Rojava set up a democratic self-administration and set in motion a social revolution based on the principles of stateless democracy, gender equality and ecology. Their self-defense units YPG made headlines in 2014 when they defended the city of Kobanê against a major Islamic State assault. The YPG are well-known for over a third of their fighters being women, organized as the women’s defense units YPJ. YPG and YPJ are the only force that continuously defeats IS and the Al-Nusra group, the USA have named them the “most effective boots on the ground” in the war against IS. Rojava’s self-administration is secular and inclusive, respecting all ethnicities and religions. All offices are dual: one woman and one man. It’s probably the most democratic country in the world. Bitcoin and other cryptocurrencies are the future of finance and decentralized economy. We are strong supporters of them, and accept them for this project. We hope to big future Bitcoin projects in Rojava. One of our goals is to heavily promote Bitcoin in Rojava. You can also contribute with Faircoin or Bitcoin (anonymously or not). Just put the desired amount in euro currency and choose the “Transfer and other manual payments” option in the checkout page. Once submitted the order, you’ll see on screen (and receive by email) the campaign cryptocurrency accounts, so you can send your coins. 11th June 2016: If you donate 150€ or more, you can choose to receive a free print from Sohodoll.co.uk Once the campaign has ended, we will email you to choose a print and to fill out your address, then you will receive your free gift! 31st May 2016: We have now extended the campaign an extra two weeks until 16th June. Due to recent high profile media attention and fundraising events being planned around the world in the coming weeks, we believe we now have an even better chance of reaching our goal. Will the items be purchased in Rojava or from the outside? If it is from the outside then how do you plan on transporting the items with the Turkish embargo? Probably from KRG (Kurdistan Regional Government). Semalka border crossing. Everything will be purchased in Rojava. The borders are closed from all sides, including Iraqi Kurdistan. We created our purchase list by choosing materials which are already available here in Rojava. Good job! Its a shame that EU+US doesnt support a peaceful place like Rojava. We pay alot of taxes in Sweden and this money should support the Kurds. Turkey should leave NATO and support a free Kurdistan in Turkey. I would recommend to collect cattle and human excrements, urin is rich of nitrogen and would make together with other organic waste a good fertiliser, other way to fertilise is to use Fabaceae like Lupines, Fabaceae have the ability to fix nitrogen and fertilise the earth naturally. What a beautiful chance to support a deep and healthy revolution. Good luck and thank you for leading the way for all of us! Pingback: Un hacker ha rapinato una banca e donato €10mila al Rojava | Buco1996-nei secoli a chi fedeli??? Pourquoi les turcs suporte l’isis ? Les turcs sont dans l’otan je comprend pas tout mais personne fouille en profondeur , il y à anguille sous roche. Longue vie au peuple kurde! You should try aquaponics: google on ‘the ibc of aquaponics’ which will show you how to set up a combined and very productive system to grow fish and vegetables together. Thanks for the idea Hans. We will look it up and maybe it could become one of our projects here. Good luck! I’ll tell all my friends about the crowdfunder. Your revolution is really inspiring and beautiful! It’s very sad that this project doesn’t get the amount of attention it deserves… I will share the link to this page with my friends and also with more influential people, who could do something. Rojavan is a bright spot in the Syrian civil war and a perfect example for a good socialism. I will try everything to support you!